"Websites are essential to the modern business. 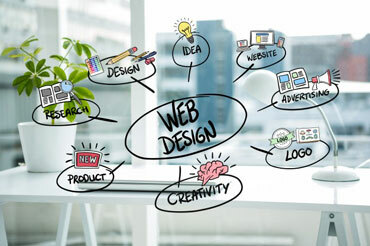 Well designed ones do better"
It is very easy to design a website, but the real effort lies in developing one which generates user interest and captures their attention. Aligning yourself with a company that stays on the cutting edge of website design and development can assure you competitive advantage in today’s fast-paced marketplace. nET GURUSOLUTION, Website Design Company in Pune knows the best tools, staffs the most creative talent and specializes in practical solutions that are geared towards flexibility and scalability. We have invested thousands of hours in research and development for the sake of our clients offering best Website Design, Website Development Services in Pune. We have zeroed in on specific programming languages, frameworks and systems that offer the greatest benefits to you.